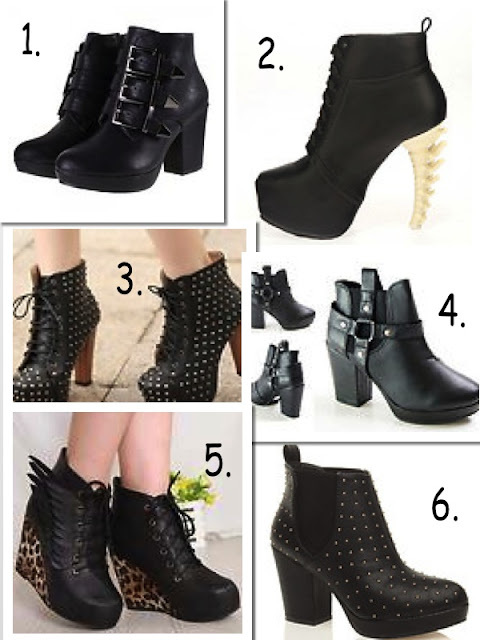 i have chosen these as they are all black and some form of boot. My favourite ones at the moment are 1 and 5. Im sure i will be purchasing at least one pair :P. they are all evenly priced nothing over £30, i do love a bargain ! !